Are you looking for the best gift for your kid this fall? If you do, you have definitely come to the right place. Many kids love off-road motocross dirt racing. And buying them the best razor electric dirt bike would be the coolest gift you’ll ever walk with through your gate. In this post, we have given you some of the top-rated razor electric dirt bike reviews that your kid could have this coming year and we haven’t stuck to a single age group – hell no. Instead, we have broadened our razor dirt bike reviews such that there is always something for everyone. Well, the fact that you won’t come out empty handed should be a great reason to read through this review. Additionally, this review has been one of the most researched on reviews. Simply put, we took over 15 bikes, looked and every one of them keenly, tried them out, determined their best features, and more importantly, did a comparison of every one of them. But that’s not all. To make sure that we did extensive work, we looked at the bikes rating, buyers’/ users’ feedback on online selling websites, how they performed on sales, and other best electric dirt bike reviews that we could find. Eventually, we were able to come up with this simple and highly informative electric dirt bike for teenager reviews and even include a buying guide to help you in nailing the very best option for your ride. The Razor MX350 Electric Dirt Rocket Motocross Bike is the ultimate dirt rocket motocross gaming bike. It is best for off-road riding and comes with a scaled down and super controlled 24V rechargeable sealed lead acid battery power system with a battery charger under its powerful design. Apart from its power, what fascinates about this one of a kind motocross bikes are it’s surprisingly super quite touch. 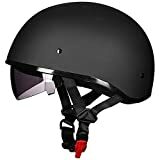 In addition to that, it is an easy to control single speed motocross bike with a chain is driven motor and a powerful twist grip throttle for the ultimate control during the most demanding rides or the toughest terrains. If you choose to gift this bike to your loved ones, they will enjoy a sturdy off-road monster that’s quite dependable. Just keep in mind that this bike is best for people of 13 years and above and not less. And thanks to this bike’s large knobby tires that guarantee maximum stability, hand operated brakes on the rear end that optimize the bike’s performance, and an extended run time of up to 30 minutes from the high power battery. Better still, you can hit speeds of up to 16 miles an hour without necessarily peddling the motocross bike at all. The bikes, high torque, and steel construction will allow you to maximize the bikes performance on rugged terrains. More importantly, its adjustable riser handlebars will provide you with the perfect setting and a highly comfortable sitting style so that you don’t get any form of fatigue along your competitions. And as if that’s not enough, this bike also enjoys a strong double crown fork, folding foot pegs, and a kickstand that’s super easy to retract. However, don’t jump onto the bike in case you weigh more than its intended weight capacity (140 pounds). Use this Razor mx350 review and get the 63 pounds 44 x 24.5 x 31-inch all-powerful motocross bike the easy way. Razor Dirt Rocket McGrath SX500 Electric Motocross Bike has one of the most stylish designs that have been inspired by the best winning motocross rider under the history of the game, Jeremy McGrath. Complete with the patented McGrath graphics this motocross bike has one of the fairest designs and one of the most genuine frame geometry for the dirt bike technology. It also enjoys a high-torque power and is quite dependable. And to give you the most memorable experiences in the game, the bike offers variable speeds and will attain maximum speeds of up to 15 miles per hour on your best day on the gaming track too. More importantly, it will offer you up to 40 minutes of continuous run time which is one of the highest times in its riding category. Thanks to its 36V power rechargeable battery system that comes with a USB charger of its own. Even better, it also features a dual suspension system to give you the best comfort and control over rugged terrains and high ended adjustable handlebars that maximizes the same operation too. Like many other top-rated motocross bikes, the Razor sx500 reviews will give you a super cool bike with large pneumatic knobby tires that are quite dependable and exceedingly ideal to work with. This bike also has a super retractable kickstand and a dual disc braking system that’s hand operated. It is highly recommended for the 14-year-old riders and up and has a maximum weight capacity of 175 pounds. Its three 12V sealed lead acid batteries like we mentioned and as you will find in many other expert razor sx500 mcgrath reviews are very much rechargeable and offer the best runtime in this category. Nonetheless, the bike is lightly heavy and measures a whopping 98 pounds on a 56 x 36 x 24.5 inches dimensions. Many people who have the Razor MX650 Electric Rocket Motocross Bike must have gone through the Sx 500 with the McGrath touch. In most of the online sites that you will go through, this is one of the bestsellers. Thanks to its high end features that has swept many people off their feet. For starters, this electric rocket motocross bike comes with an all-powerful 650-watt electric motor system that is by far a higher version to match under its category. Due to this, it easily carries motocross riders who use it to top speeds of around 17 miles per hour. In addition to that, the bike has authentic frame geometry for a dirt bike with a dual suspension system for additional strength and a super smooth ride on bumpy roads. It also boasts of strong adjustable riser handlebars that help it to deliver a smooth, comfortable grip under the toughest of rides. Its Pneumatic knobby tires are extra-large and will easily provide the maximum power transfer during rides and variable-speeds. More importantly, if you look at the best razor mx650 reviews you will realize that the bike also has a chain-driven motor that gives it the best endurance under the most demanding riding experiences. This bike is usually recommended for the 16 year old riders and above. It supports a maximum weight capacity of 220 pounds and has a 90-day warranty attached to it. Buying this motocross bike means that your kid will get a gas-free eco-friendly 98.2 pounds bike, with a twist grip acceleration system, customized fit handlebars, and a 56 x 24.5 x 36 inches in overall dimensions. However, you must give the bike’s two 12V batteries an initial charge time of up to 12 hours in case you want a to save the battery from early damage. Another top rated dirt rocket electric motocross all-terrain bike is the Razor MX500 Electric Dirt Rocket Motocross Bike. It has many features that will easily suit your kid along the bends, slopes, high jumps, and pro rides that they will compete in. To kick us off, this bike enjoys a super scaled-down design that makes this electric motocross bike one of the most suitable designs for the track. It runs on a powerful 500-watt electric motor that means you don’t have to use gas. In turn, you will enjoy an eco-friendly ride and better still a powerful ride that will allow your kid to go up to speeds of 15 miles per hour. Due to its authentic bike frame geometry, you always don’t have to worry about your kid’s safety on some of the toughest terrains. Combined with its steel construction, this bike will give its rider a sturdy and most reliable design. In addition to that is a superior dual suspension system that combined with the unique highly customizable adjustable riser handlebars will deliver a very smooth and pretty comfortable ride all through your ride. Even so, it is the bike’s large pneumatic knobby tires which many experts Razor mx500 review highlight to give a maximum power transfer and in turn, set up this bike as one of the most rated motocross bikes of the century. However, we loved the bike even better because of its retractable kickstand system and a 90-day warranty. Irrespective of its all-powerful design, this bike is not recommended for all riders. Instead, it goes for riders who are either 14 years of age or more. It also has a 175-pound weight capacity limit such that anyone with additional weight might not get the touch of its comfort if they choose to go ahead with it. The bike is, however, one of the heaviest that you will find in this category (112 pounds) and measures 46.5 x 13.7 x 26 inches in overall dimensions. Razor MX400 24V Electric Dirt Rocket Toy Motocross Motorcycle Bike is not only sturdy but also one of the most stylish motocross bikes that you will meet today. It is enjoys a scaled down touch that is quite unique and super ideal for most of the young motocross riders that we have today. It is geared for the dirt experience with each and every one of its best technological designs and systems. The bike has large 12-inch pneumatic “knobby” tires that provide it with the perfect power transfer. It is a single speed bike that operates on a chain driven motor and which will provide a super quiet and yet very powerful operation. Due to its scaled-down touch, this dirt bike design will easily carry its riders up to maximum speed limits of 14 miles per hour. Together with that, it has a weight limit of about 140 pounds and enjoys a high torque motor capacity to provide it with the maximum acceleration on a twist grip throttle system for easy control. The best part about the Razor Dirt Rocket MX400 Motocross bike is its ability to kick pretty fast into the high gears so that you get the best speeds in the shortest timeline possible. Nonetheless, many people also agree that the bikes adjustable riser handlebars are easy to customize and will work so well with the high suspension system to give the bike a rather smooth run. And you don’t have to worry once your kid jumps onto the bike as the powerful 350-watt electric motor plus the bikes large 12-inch tires add no extra weight to the 61 pounds easy to control the bike with a 45 x 24.9 x 10.2 inches overall dimension. It’s no doubt that most kids love motocross riding. However, what they lack is the insight to land the very best electric dirt bike for a teenager. If you are the parent who’s helping them to look, there isn’t any cause for alarm. This simple buying guide will give you the right tips to land you the best bike for your kid’s top racing hobby. Age is the most vital consideration. Before you put your kid on any bike, it is important to understand whether they have attained the right age and if the bike you are getting them is for that specific age. Most bikes have different control capacities designed for specific ages. The best thing you can therefore do is to look through the bike’s recommended age for riders and vis-à-vis your kid’s age before buying. How has the bike been constructed? Is it hard and strong enough to withstand the demanding nature of most dirt motocross tracks? Typically, the best bike should have a metallic alloy construction. Steel construction, for instance, will guarantee that falls are rare and that if they happened the bike doesn’t give in nor does your kid get an injury. Such construction will also give you a longer bike lifespan. Your kid will enjoy their ride if they are comfortable. A good bike should provide them, with a sense of comfort to go with. Here are some of the bike’s top features that will guarantee the best comfort touch. Padded seating is a bonus more specifically if they come with a comfort height that your kid will die for. Another vital factor when looking at the best electric dirt bike for a teenager is the suspension system. This will double up with large knobby wheels to prevent any “hiccups” even on the bumpiest rocky surfaces. Adjustable handles will allow you to customize your seating space such that you can easily enjoy one of the easiest bike controls all through your ride. A good handle will be smooth, simple to control and spontaneous. The speed limits are also very crucial. Depending on your kid’s age, riding skill, and ability to control the bike, you will determine your speed limits. Most bikes in this category will range between 14 mph and 16 mph. Younger kids may lack the ability to make sound judgment fast. They might also find it pretty tough to control bikes on high speeds, that’s why it is really important to keep the speed limits in mind. How does your bike power up? Most bikes will use a rechargeable battery to power up. While most bikes consume about 24V to get the best power, there are a few exceptions that will need 36V (three 12V batteries). Nonetheless, it is very important to get the right voltage power. In addition to that, the battery should be replaceable too. Buy a bike that comes with a USB charger plus an extra battery to save you a few dollars too. Again, you should know what your kid weighs. 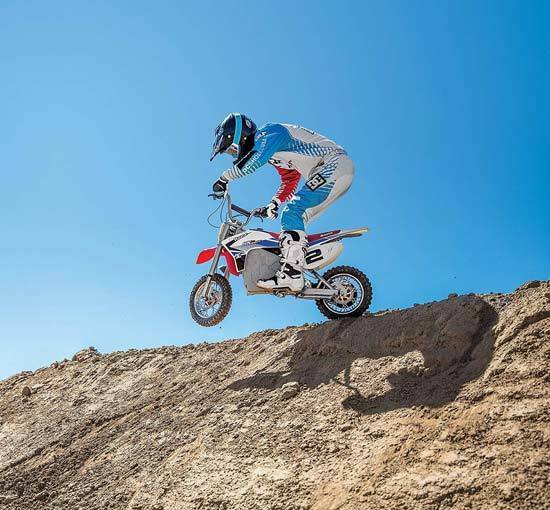 Motocross bikes have specific weight capacities and if your kid weighs about 175 pounds, putting them on a 145-pound weight limit motocross bike will be disastrous. You need to understand that if you want your kid’s bike to perform to its best them going with the exact or a lower weight limit will be okay. Don’t on too low as that might also prove a huge risk to handle the bike. No parent would love to expose their kid to danger. Due to this, the very first consideration any parent will make is to assess the safety of the motocross bike that they are about to buy and put their kid on. In case you want to get the best safety features, looking at the following will be important. And like a plague, pricing follows every purchase that you will ever make. Going with the right price means your budget is well taken care of and that you won’t spend on impulse. Shop around before buying. Razor electric dirt bike reviews, for instance, will easily help you to nail the best motocross bike the easy way. They will easily give you an insight that is reliable and which will ensure that you end up with a bike that is tested, tried, and recommended. From online e-commerce website reviews to expert reviews such as what we have given you here, it will be very important that you listen to the feedback from other buyers before spending your money. The timeline through which you can enjoy your bike is very important and is often determined by the battery power. While most bikes will give you at least 30 minutes of pure fun, some bikes of a higher power could easily give you more. Experience has taught as that new motocross dirt bike buyers often have a number of concerns before they can make their first purchase. In this section, we take a look at some of the most common concerns ever. Q. What is the Best Battery Power for a Motocross Bike? The best power is relative. Depending on the design of the bike, its intended use, and the capacity, your bike will have the right voltage to power it up. Nonetheless, many bikes use 24 volts which are a set of three 12V batteries. It is with the exception that other powerful bikes will often use more. Definitely! A bikes weight will determine how easy it is for your kid to control it. However, the one thing that you ought to know is that a heavier bike will also have the best grip with the surface than a lighter model. Even so, models between 60+ pounds to slightly above 100 pounds will work well for kids. The bike’s weight also plays a crucial role in the weight limit that the bike will be able to handle as its weight often depends on construction. Q. What is the Best Speed Limit for My Kid? Like we mentioned above, speed limits depend solely on the ability of your kid to control the bike and also on the capacity of the bike. A skilled kid can easily go with a 17 miles per hour bike while a younger and less skilled kid will stick to a 14 miles per hour bike. Q. Are there Cheap Motocross Bikes to go With? Buy Online: Online selling site has some of the best prices since you have a variety of choices to go with. Discounts: Focusing on discounts will also allow you to get the best prices in case you want the best models for less. Shipping: Some areas will have no shipping fees at all. Nonetheless, you should focus on less shipping fee rates. Warranties: Warranties and after-sale servicing are some of the best offers that you should look at to eventually have the most affordable purchases. Q. Why Do You Need Wide Tires? Such tires will provide the best grip between the bike and the surface. By doing that, it will prevent any forms of falls and also keep your kid on a stable ride. Going with wide tires is therefore very important especially for people who are just starting out. If you want your kid to have the best experience on their razor electric dirt bike, it is important that you keep the following care and maintenance tips in mind. Every bike has movable parts that will require routine lubrication. Make sure that you take your time and give your bike the best greasing touch. Look for the recommended lube to do the perfect job for you. Dirt has a way of tearing down the metallic luster in case you have left it to sit around the bike for long. It is therefore very important that you wash off dirt from your bike once you leave your track to save its skin. In addition to the first two, to keep the bikes power on point and the battery at the highest performance levels, it is important that you always charge the battery once it’s power goes down. This will save the battery and lengthen its lifespan too. Using your bike as per the manufacturer’s manual is very important. This will ensure that the bike lasts longer and that it performs efficiently every time you jump on it. It is the greatest satisfaction your kid will have. Even so, your motocross bike should have a checkup routine that you can easily rely on. The checkup routine will help to identify any problem and attend to it on time before it ends up damaging the bike. If you are looking for a top of the range electric dirt bike for a teenager, you should take your time to get the very best reviews to help. A number of people will often end up with poor purchases when they should have had the best simply because they didn’t take their time to listen. Electric dirt bike reviews are a great way to land the best electric dirt bike for a teenager. You will get the tips you need and will seldom land the wrong bike. Now that you have realized that buying a top-rated electric dirt bike for a teenager is no brainer if you use the best guide, don’t wait anymore.